If you've been in the market for a new sedan or hatchback, make sure you stop by Joe Myers Mazda to give the Mazda3 a test drive. 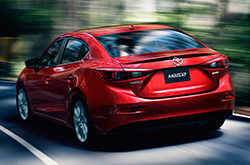 Sporty, safe and fun, the Mazda3 has been a consistent choice amongst Valley drivers shopping for their next new car. For its newest model year, the 2016 Mazda3 in Houston is adding several standard pieces of equipment to its features list, while also dropping its base SV trim. The 2016 Mazda3 comes with two available engine options: a 155-hp, 2.0-liter four-cylinder and a 184-hp, 2.5-liter four. The Mazda3's trim levels are broken up based on the engine you choose, with the 2.0L getting the i Sport, i Touring and i Grand Touring and the 2.5L come in s Touring and s Grand Touring. Standard features on the base model of the 2016 Mazda3 in Houston include 16-inch wheels, a seven-inch touchscreen, a six-speaker sound system, a rearview camera, Bluetooth connectivity, voice controls, power-folding mirrors and a tilt-and-telescoping steering wheel. The Mazda3 i Touring and i Grand Touring add everything from foglights and navigation to keyless ignition and a leather-wrapped steering wheel. Many 2016 Mazda3 reviews recommend choosing either the Mazda3 s Touring or the s Grand Touring if you're looking for the most luxury features. The s & Grand Touring trim includes amenities such as 18-inch wheels, a digital speedometer and a head-up display, while the Grand Touring comes with full leather upholstery, LED taillights, adaptive xenon headlights and an auto-dimming rearview mirror. On top of this impressive array of interior amenities and equipment, 2016 Mazda3 reviews have also praised the sedan's safety features that include front side airbags, stability and traction control, antilock brakes and front head restraints. These features have helped the Mazda3 earn top ratings from both the NHTSA and the IIHS. If you would like to learn more about the 2016 Mazda3, be sure to visit us at our convenient location off of the Northwest Freeway in Houston. Also, be sure to check out the rest of our Mazda3 review that includes more specs, details and even a dare-to-compare tool. 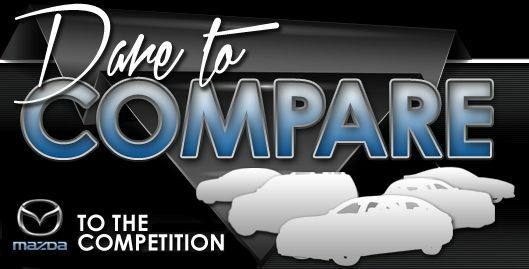 Compare the 2016 Mazda3 side-by-side with vehicles like the 2016 Hyundai Elantra, Chevy Cruze and the Honda Civic, and we're sure you'll realize that the Mazda3 outperforms the competition in a multitude areas. The Mazda3's passenger-oriented onboard technologies and competitive pricing are just a few of the terrific attributes that shoppers will be won over by. It's a phenomenal value, which you'll clearly see when comparing its price to the vehicle options listed above. 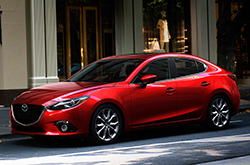 Get more details - Scan our Mazda3 Quick List underneath this text! 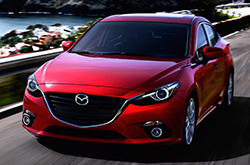 If you have additional questions about the 2016 Mazda3 after reading our review, please contact Joe Myers Mazda today. Not all Houston car retailers are alike. We differ from others in that we feel it's our obligation to equip customers with quality reviews. Everything you need to know about the Mazda3 and other Mazdas is right on our site. Each paragraph is packed with vehicle specs and essential information pulled directly from Mazda and other sources you can depend on to give you reliable info. After checking out our review of the Mazda3, find out about current financing offers that'll help you save significantly on your purchase at our Mazda dealership in Houston.